Partly cloudy early followed by increasing clouds with showers developing later in the day. High 63F. Winds WNW at 5 to 10 mph. Chance of rain 50%..
Clear to partly cloudy. Low 49F. Winds light and variable. Senior Hannah Martin scored first place in the shot put, discus, and javelin during the Bulldogs' dual meet at Shippensburg Thursday. Big Spring freshman Abriale Hershey sprints toward the finish line to wrap up the Bulldogs' a victory in the girls 4x100 meter relay. 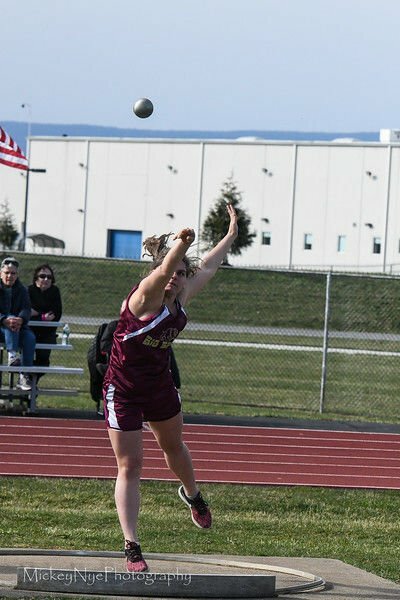 Big Spring senior Hannah Martin swept all three throwing events to highlight the Bulldogs' dual meet against the rival Shippensburg Greyhounds Thursday in Shippensburg. Martin bested the competition in the discus (99'9”), the shot put (31'5”), and the javelin (96-feet). The three victories garnered her 15 points, tying her with Ship senior Julia Nye (100M, 200M, 400M) for the most points scored Thursday. 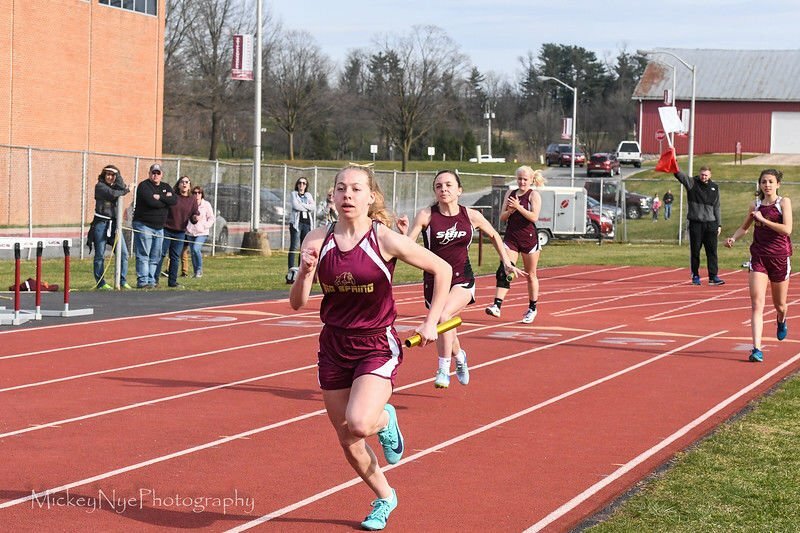 Other Bulldog victories included Abriale Hershey, Savanah Million, Makenna Mersch, and Lyra Clark in the girls 4x100 relay, Clark in the pole vault (8'6”), and Jack Shulenberger in the javelin (154'2”). The Greyhounds defeated the Bulldogs in the overall standings. The Big Spring boys fell to Colonial Division favorites Shippensburg 115-35. The Big Spring girls lost by a 100-50 final score. Big Spring track and field returns home to take on the Waynesboro Indians in a dual meet Monday, April 15 at 4 p.m.
HELP WANTED Licensed barber or stylist, Carlisle Barracks Barber Shop.